I am interested in the idea of space and how people relate with each other and their environment. The Samoan concept of space or the ‘Va’ is related to all things, and all relationships are conducted within this ‘Va.’ By completing a drawing a day of my head and shoulders, minus facial features this on-going series is exploring my own 'va' and how I relate to myself, and how others see me. I am exploring the attributes that define a woman- her beauty, her face and especially her hair, her appearance. However by not having a face there is a distance created. 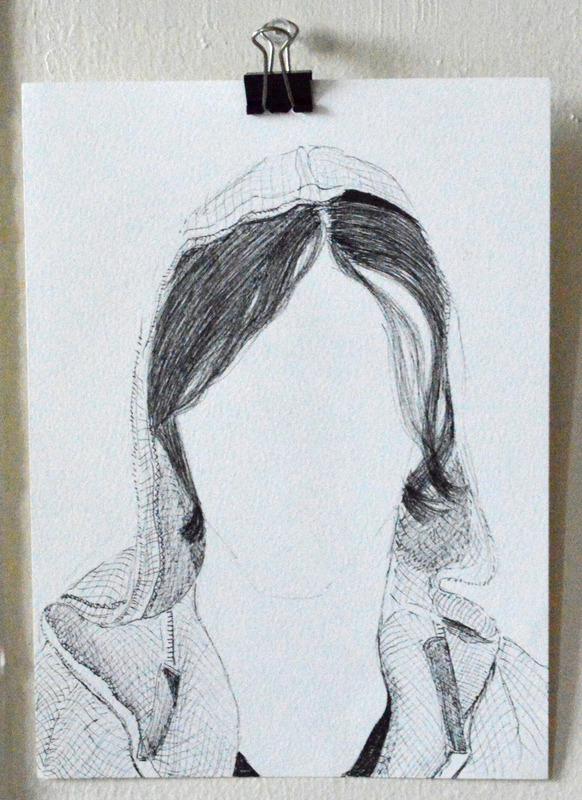 These sketches, created each day are also noting time, and of time passing, the lines too are growing, like her hair. By hanging each drawing it recreates the idea of the clothesline, it is easily accessible, each image can be taken down and replaced or reycled.